You'll feel like you can fly up the trails in the ultra light, incredibly comfortable ELLIPSE 2 AERO. It has a women's specific fit and design details, along with a breathable upper that will feel like wind under your feet. 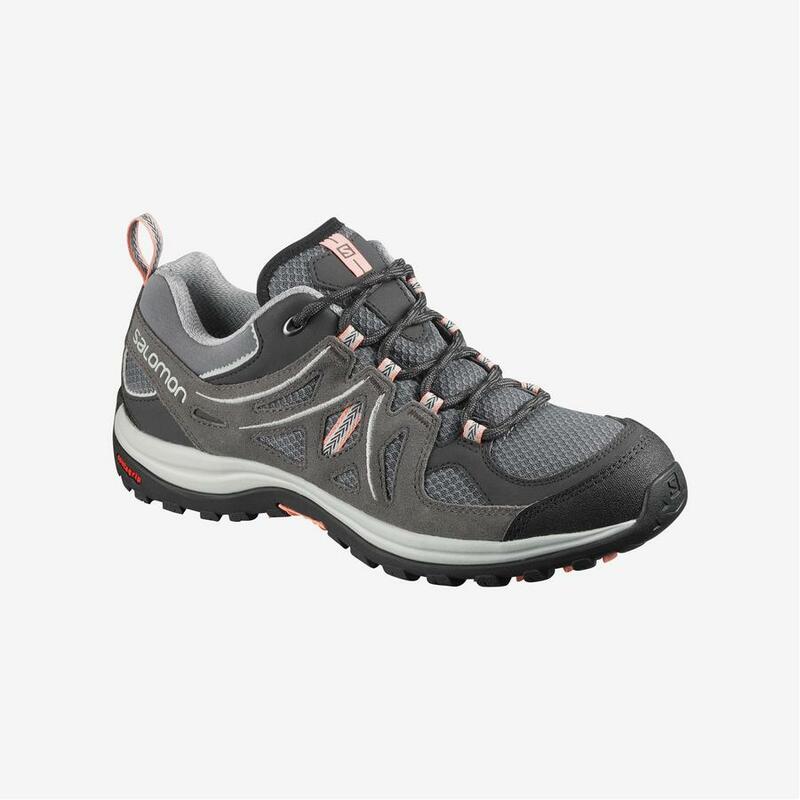 The upper of the Salomon Ellipse 2 Aero is made using a combination of lightweight, breathable, abrasion resistant materials that allow for maximum breathability and comfort. Includes split suede leather detailing and an open mesh style to keep your feet cool through a whole day's hike. This shoe is made with a design tested by and optimised for Women including a specific last, collar shape and sole hardness based on Women's input. Incorporating Sensifit technology that cradles the foot from the midsole to the lacing system, providing a secure, snug, and virtually customized fit all around the foot. The outsole utilises OS Tendon technology, a running construction that provides better rolling and a soft rebound, used for running shoes as well as for natural running and hiking shoes in different constructions. High Traction Contragrip® with varied, deep lugs helps provide extra traction on wet or dry surfaces. Injected EVA Midsole - Offers soft cushioning and durability where you need it most. Premium High Traction Contagrip - Separated lugs to help facilitate responsiveness and enhanced grip.